The number one hiring problem is untrained people. Most people have never had any formal training on hiring. This is especially true in mid to small companies. Even many large organizations don't train managers on this topic. Some companies may provide interviewing training, but that is only one step in an effective hiring methodology. There is a lot more to hiring than just interviewing. For example sourcing top talent, you can have great interviewers, but if people aren't trained how to bring top talent to your table, then all interviewing will do is validate they aren't qualified. Your hiring process is still ineffective. That is just one example. Most people learn to hire from the person that interviewed them. And the people that hired them learned how to hire from the people that hired them and so it goes back to Moses. We refer to this as the “tribal hiring process.” This is not a training program. Recently I asked about a hundred CEO's and key executives how many have actually sat in on interviews for the sole purpose of assessing/auditing the ability of their managers or peers to conduct a thorough in-depth probing interview? Less than 10% had actually done this. So most CEO's and key executives don't even know if the people they are relying on to hire are competent. Only in hiring would a manager not know if someone is competent or not. To dramatically improve your hiring process involves two steps; first there are 5 key steps to every hiring process. So develop an effective hiring process that will work for your company. It must be able to put candidates in the job BEFORE you hire them. Second train your people to effectively implement the process. This should include an annual refresher or some sort of continuing education on the hiring process. Think what the ROI will be to your company if you only hired the best and hired them the first time. A small investment in training your people can accomplish this. Join the other 10,000 CEO's, key executives, and HR professionals who have downloaded a FREE copy of our best selling book, “You're NOT The Person I Hired.” Just CLICK HERE for your FREE ebook. 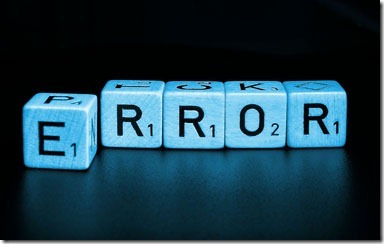 Can You Avoid the Most Common Hiring Errors? It almost seems like many companies have forgotten best practices in hiring top talent through the recession, where they didn’t get to “practice” the techniques of proper hiring. Like any other business process, we sometimes get “out of sync” when we do not use and practice the disciplines of best practices on a regular basis. Before jumping into the the Top Ten Hiring Mistakes, I’d like to provide a little historical context. My partner, Brad Remillard, and I have been conducting executive search for over 25 years together. In the first 10 years of our firm, we noticed that a very strange thing happened in most hiring decisions. Frequently, the candidate who got the job was typically the best interviewee, but many times was not the best employee. They were successful at “winning” the interview, but unsuccessful in achieving the desired results. Conversely, many of the candidates who were horrific in the interview: quiet, reserved, introverted, nervous, and shy – did not get a chance to prove themselves, yet their on the job performance was stellar in their previous roles and the next job they took. Have you ever hired someone that you thought was the perfect candidate, but they didn’t work out? Have you ever taken a risk on hiring someone that didn’t interview perfectly, yet they turned out to be one of your best hires? We stepped back, scratched our heads, and wondered what was going on in the hiring process that led most executives and managers to make mistakes on many of the candidates they met? How could there be such a dichotomy between interviewing performance and on-the-job performance? How could the best interviewees not always be the best performers? How could the worst interviewees sometimes be the best performers? After 25 years of executive search and over 1,000 search assignments, we cannot find one single shred of evidence linking how well candidates do in the interview with their on-the-job performance (as interviews are normally conducted in most companies)! Is there hope to improve this depressing and dysfunctional hiring state? Of course you can improve it. The key is to overcome the most common hiring mistakes with a structured and rigorous hiring process. Prior to writing our best selling book titled “You’re NOT the Person I Hired” (same title as our Vistage/TEC Speaker Program), we commissioned a formal research study among CEOs within and outside of the the Vistage/TEC community trying to discern what are the Top Ten Mistakes CEOs and Senior Executives Make in Hiring. The Executive Summary of this Study can be found in the Vistage Village Library, on our website, and in the appendix of the book. We’ve seen a dramatic improvement in hiring success among companies that have implemented a more structured and rigorous hiring process. Many times in the past, these companies would commit multiple mistakes and repeat them over and over. Most studies of hiring accuracy over the past 50 years show that hiring as it is traditionally done is not much more accurate than flipping a coin. If you can overcome the most common hiring mistakes – what we call “The TOP TEN Hiring Mistakes”, you can improve your hiring accuracy well into the 80% plus range. Imagine from this point forward, every hire you make in your organization, you’ve got a 80% plus accuracy in hiring employees who not only achieve your expectations of performance, but they also do it with set of behaviors that is consistent with your values and culture. I would love to hear from you about the before/after comparison of hiring success in your company. What was the accuracy, problems, issues prior to improving your hiring process – and what happened after you implemented a more structured and rigorous process? 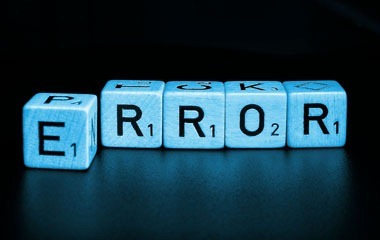 I’m going to take each of the hiring mistakes identified in our original research project and blog about each one separately, including the key steps you can take to overcome and prevent that mistake from ever occurring again! PS – You can download the Executive Summary of our “famous” Top Ten Hiring Mistakes Study” in our FREE Resources Section by clicking here. Question: We have a hard time hiring sales people. Any suggestions on how to hire great sales people? We receive more complaints and questions about hiring sales people than any other position. Hiring great sales people takes time. Most companies expect when they decide to hire a sales person at that exact same moment in time a great sales person will also be looking and their paths will cross in some magical way. Rarely, if ever, does this happen. Hiring great sales people is a process, not an event. You should constantly be on the lookout for great sales people. You should be soliciting names from your current sales team, using LinkedIn to identify potential sales people, and asking your customers, “Who are the best sales people calling you?” Then you can start engaging them in very low key ways. For example, ask to meet with them for coffee one morning, send them a request to connect on LinkedIn, or once a month or so send them an email about something exciting happening in your company or industry. Just begin a dialog with them. As you do, you will develop a queue of potential candidates. This doesn’t take a lot of time, maybe an hour a month. This is a small investment for a great sales person. Want to assess your hiring process? Download our FREE 8-Point Hiring Methodology Assessment Scorecard. How does your company rank on these critical points? CLICK HERE to download. I welcome your thoughts and feedback. If you liked this article and found it helpful, please forward it to others.